The United Methodist Hymnal, No. 110. No hymn is identified with the Protestant Reformation more than Martin Luther’s “A Mighty Fortress.” Luther (1483-1546) left a body of congregational songs that both defined the Lutheran confessional tradition and became truly ecumenical in influence. The story of Luther’s reforming movement is widely known. A Roman Catholic monk, his study led him to believe that the Church of Rome was corrupt. On October 31, 1517, he posted his famous 95 theses on the door of the church at Wittenberg, inviting debate. Luther broke with Rome in 1521, refusing to retract his writings before the Diet of Worms. 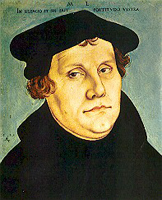 Subsequently, he was recognized as the leader of the German Reformation. In addition to skills as a writer, translator and preacher, Luther was an amateur musician. His thirty-seven hymns stand alongside his theological writings and his translation of the Bible into German as testaments of his creativity and intellectual ability. that have us now ‘o’ertaken. While conveying strength, the phrases do not flow as naturally as those written by Hedge, and the language is generally more archaic. Leading Catholic liturgical scholar and musician Edward Foley calls Martin Luther “a model pastoral musician… a proponent and composer of music from the people and for the people, as evidenced in his chorales.” Speaking specifically of Ein feste Burg—the German title for “A mighty fortress” – and after pages of careful analysis, Fr. Foley notes that this chorale “appears to be a paradigm of liturgical ‘people music.’”. Luther’s “craft is affirmed by its ageless singability” — high praise from a Catholic scholar, indicating not only the quality of Luther’s work, but also its ecumenical popularity. On occasion, I have heard a minister invite the congregation to conclude the hymn after only the first stanza in order to save time. While this is a questionable practice under most circumstances, it is particularly a problem in this hymn. 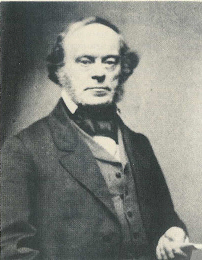 Hedge’s translation states, “on earth is not his equal.” The pronoun “his” in this case refers to the Devil – “our ancient foe” and not to Christ. It may be best not to leave the Devil in charge by stopping at the end of stanza one! A final word must be said about a popular notion among many pastors who state that Luther (and the Wesleys) went into bars to find congregational tunes. This leaves a very inaccurate impression. It is true that both Luther and the Wesleys either composed or incorporated musical settings reflecting the musical styles of their day. In the case of Ein feste Burg, the original music reflects a Renaissance folk style. Very few tunes may be traced to a specific folk song, however, and none to a bar. Some have confused Luther’s use of the “Bar Form” (AAB), the melodic structure of many German chorales (including Ein feste Burg), with his possible presence in drinking establishments. The original rhythm of this tune (not found in The United Methodist Hymnal) is quite lively and adds much to the vitality of this strong text. You can be sure that Luther and the Wesleys gave careful attention to the melodies they chose to pair with their texts. Justifying the use of specific current popular melodies with classic hymn texts by referring to the historical precedent of Luther and the Wesleys is not only inaccurate, but also borders on hymnological heresy. This is not to say that such practices might be helpful for invigorating historical texts, but the precedent cannot be convincingly established by referring to either Martin Luther or the Wesley brothers.